A process where composite materials are consolidated against tooled surfaces using air pressure. 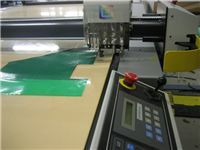 This process provides parts with one tooled surface. 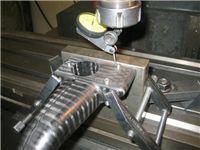 A process where a hollow mold tool is filled with composite materials and compressed to provide detail on all surfaces. 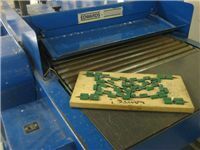 A process where thermoplastic materials are heated to become malleable, then rapidly stamped into a mold tool. The part quickly cools to retain its molded shape. 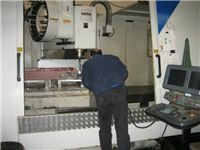 This process is suitable for high volume low cost parts. Pultrusion - Thermoplastic : A process where thermoplastic composite materials are pulled through heated dies then cooled to manufacture continuous lengths of product. C2 uses a variety of curing methods to allow the most efficient processing of materials to keep production costs to a minimum. 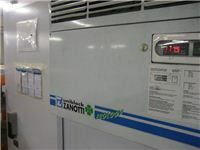 Available options include Press, Liquid Heat Transfer, Immersion Heater, Oven and Autoclave Curing. 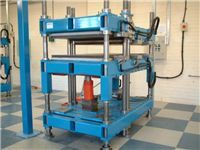 Product curing is performed using custom automated control systems to ensure proper processing of materials and repeatable product performance. In thermoset component manufacture C2 uses pre-impregnated ("Pre-pregs") materials. 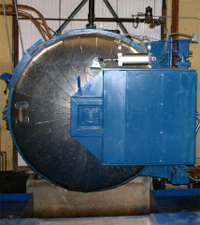 This is where the resin is impregnated into the composite fibers prior to lay-up and molding. The resin and fibers have very specific and controlled configurations. These materials then have a limited "out life" and must be held in cold storage, prior to use. For accuracy and consistency all materials are CNC or die cut. 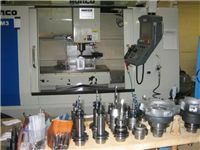 C2 Composites has CNC Mill, Lathe and Router equipment available onsite for the precision machining and finishing of molded composite components. 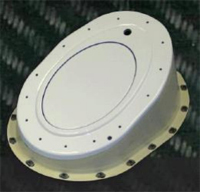 C2 has the capability to paint composite components to meet customer requirements. Two paint booths are available onsite with trained personnel to perform a variety of finishing processes. 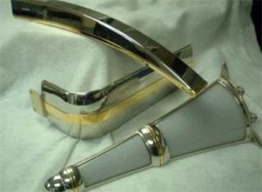 Through processes and criteria developed with key suppliers, C2 can also offer plating of composite components to cosmetic standards.